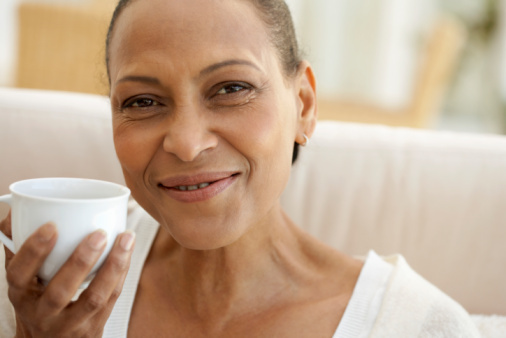 Home » Diabetes Tips » Do Benefits of Coffee Include Type 2 Diabetes Prevention? Is drinking coffee good or bad for your health? If you’re unsure, you’re not alone. When it comes to making healthy dietary decisions, coffee drinkers are generally left confused. Conflicting studies come out frequently—some report that drinking too much coffee is unhealthy, while others tell you to drink up to ward off diseases! The studies that highlight the benefits of coffee, in my opinion, outweigh the bad. Let’s take a look at the caffeine content in coffee: 1-3 cups of coffee can generally contain 85-200 mg of caffeine. Amounts in this range are safe for most people—increasing your alertness, improving your concentration, and even fighting fatigue. It is when you get into higher caffeine “dosages,” particularly in one sitting, that you may experience complications. Especially if you’re not used to drinking coffee, you may begin to feel anxious, restless, or nervous, or have trouble sleeping. By controlling the amount of coffee you drink, you can easily circumvent complications. A recent study conducted by researchers at Harvard University showed that increasing your coffee intake could lower your risk of developing type-2 diabetes. The researchers found that adding about a cup and half (360 ml) of coffee to your regular coffee consumption each day could reduce the risk of type-2 diabetes by 11%. They also found that those who decreased their coffee consumption by one cup a day, or more, increased their risk for getting type-2 diabetes by 17%. People who consumed the most coffee per day—three cups or more—had the lowest risk of type-2 diabetes. In fact, this group was 37% less likely to develop the disease than people who drank one cup of coffee or less per day! The researchers reported no change in risk for those who drank decaffeinated coffee. If you’ve never drank coffee before, should you start? I honestly don’t see a problem with having anywhere from one to three cups per day. You’ll want to start small to assess your tolerance, but unless you’ve got severe heart problems, there is little to worry about. Diabetologia, “Increasing consumption of coffee associated with reduced risk of type-2 diabetes, study finds,” Science Daily web site, April 24, 2014; http://www.sciencedaily.com/releases/2014/04/140424190516.htm. World Health Organization, “Diabetes,” WHO web site, January 2015; http://www.who.int/mediacentre/factsheets/fs312/en/.